We have been very amiss in keeping up our blog over the summer. But we did want to congratulate several owners on their summer successess with their Blazingstar dogs. Sam, HR Blazingstar Bobolink TD JH Can WCX Am WCX, added the American WCX title to his accomplishments in the field. Well done Sylvia and Sam! Odo, Blazingstar King Eider CGC, passed his Canine Good Citizen test in Colorado. Congratulations to Odo and Tom! 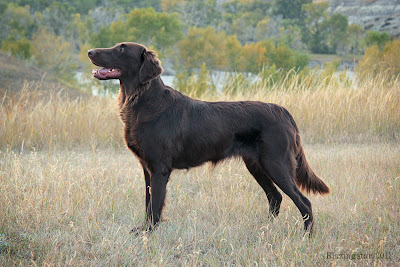 Kona, Ch Blazingstar Brown Coneflower RN SHD, headed south and showed for two days in Montana and won winners female both days for her two major wins and 6 championship points. Congratulations to Kona, Judy and Allan! Lindy, Blazingstar Linnaeus CGN CDX JH WCI RE AGXS AGXJS, has been barrelling her way towards her AAC Agility Trail Champion title this summer. She now only needs 2 more Jumpers Qs and 2 more Gamble Qs. Well done Lindy and Rod!